Gardens by the Bay has appointed strategic communications agency Ninemer Public Relations (Ninemer PR) as its PR agency, following a pitch. 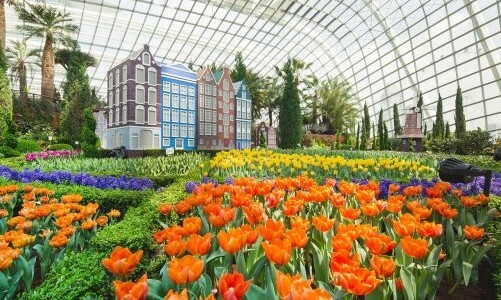 The agency has been awarded a 24-month communications retainer by Gardens by the Bay. Work commences in mid-December where the agency will undertake publicity efforts for the Gardens at both a global branding level as well as local activation. This win follows a slew of other projects the agency had secured through competitive pitches earlier this year including communications support for Maritime and Port Authority of Singapore (MPA) as well as media advertising and promotion for Housing and Development Board (HDB) commercial properties. The agency’s existing portfolio of work includes various projects for Orchard Road Business Association to brand the precinct. This includes Chinese New Year and Mid-Autumn Festivals to promote Chinatown. Having some trouble getting the journalists to notice your stories? Here are some secrets to getting their attention. ..
"It's definitely not an ideal situation especially when digital advertising is all about the ability to micro-target key consumer ..